Arriving at a busy airport or port can be an unpleasant and daunting experience. Whether arriving in the country after a long flight, or arriving at a specific destination within Greece, both on the mainland and on the islands, there is nothing more welcoming nor satisfying than being personally met by a smiling face and helping hands. No decisions to make; no buses or taxis to find; no language difficulties to deal with; just relief and pleasure, as you sink back in your seat while being whisked to your hotel. Our excellent transfer service is a feature that is available to all clients who have booked their accommodation, holiday package, or other service through Windmills. Unfortunately, we cannot offer this service independently, since our low rates are offset by high administration costs in providing this valuable service to you. We organize transfers at every destination that we feature on our website, and for most of them, you’ll be given introductory printed material about your particular destination. We’ll also handle your departure as well, and be sure that you are at your departure point, whether airport or port, in plenty of time to make your connection. 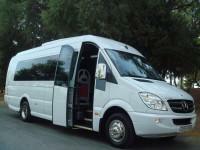 We specialize in both individual and group transfers, and our rates are excellent. Our service is comfortable and efficient, reliable and economical. Specific details can be found on each destination main page. Just select “Transfers” from the menu to the right of the page … it’s as simple as that. Rates for 1 person, one way. Rates for more than 1 person, per person, one way. Rates per person, one way. Rates for more than 1 persons, per person, one way. VIP Transfer, per person, one way.